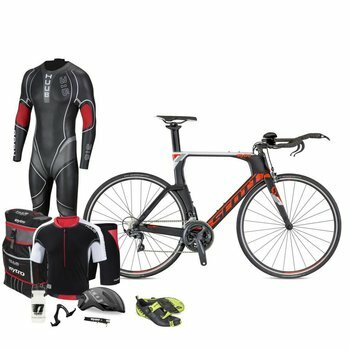 World's Best Selling Triathlon Packages / Bundles featuring the SCOTT Plasma 10 and Kestrel Talon X - Men's & Women's Packages starting at $1,999! World's Best Selling Triathlon Packages / Bundles featuring the 2018 SCOTT Plasma 10 and Kestrel Talon X - Men's & Women's Packages starting at $1,999! Nytro presents the Triathlon Package Premium for 2018 featuring the SCOTT Plasma 10 triathlon specific bike built with Ultegra 11 Speed components personally curated by Dave Scott. This triathlon bike offers unmatched aerodynamic performance and comfort and features next level adjustability, integration at an affordable price point. Nytro presents the men's Triathlon Package Pro for 2018 featuring the all-new and improved design of the Kestrel Talon X 105 Triathlon Bike. This agile aero triathlon bike is ideal for those triathletes looking for a fast responsive bike with all the modern features and frame design innovations that are key to racing a triathlon. In combination with the bike geometry and bike adjustability, any rider from beginner to elite can achieve their optimal fit position. All of this is inclusive at an affordable package price. 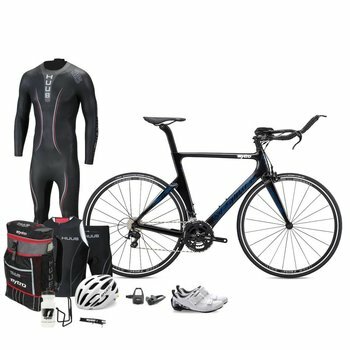 Have a technical question about our Tri Packages and product info? Please contact us for questions. View complete size guide for Tri Package Pro / Tri Package Premium. Get free shipping* within continental US. Use code 'SHIP4FREE' at checkout. Other fees apply to other shipping methods and destinations.